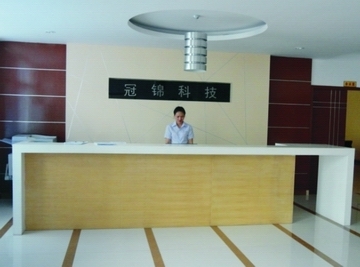 Dongguan Guanjin Electronics Technology Co.,Ltd is established in year 2012, located in Qiantou New Industrial Park Niushan,Dongcheng District Dongguan City,Guangdong Province,China. We are a professional manufacturer of power supply and it is focused on the complete service of researching, manufacturing and marketing. King Powerleader(HongKong)Limited is another name of Guanjin. The 14,000㎡ Guanjin facility employs over 800 well trained employees with experienced R&D team and management team. Guanjin has a sound management and quality control system with advanced testing equipment.The appearance design of our products is unique, and we own more than 6000 kind types of power supply in the moment, such as 5W,6W,9W,12W,15W,18W,25W,36W,42W,48W,65W,100W.which achieved the international certification of UL,ETL,GS,CE, PSE,SAA,RCM,KC,IRAM，BS,CB,FCC,EMC, all the products of Guanjin satisfied the requirements of Rohs, Reach, PAHS. We persist in the quality concept as below: pursuit of excellence, overall qualified, continuous improvement, customer satisfaction. We are offering the qualified products with reasonable price as to the secientific management and practical management concept.